A wide variety of objects can be stamped to add decoration, however in order to. Flat surfaces are obviously the most straightforward surface to stamp onto, however, why limit yourself to just flat surfaces? Curved surfaces are relatively straight forward to stamp onto and this opens up a whole new range of opportunities. There are so many curves surfaces which present a great opportunity for rubber stampers. These include eggs, pebbles and smooth stones, cardboard tubes and boxes and jars with curved surfaces. Use small stamps. Smaller stamps are easier to stamp onto a curved surface than a large image. Therefore it is better to plan a design that uses a pattern built from several smaller images rather than one large one. Do not over ink the stamp. A very inky stamp may slip on the surface as you roll it. You need to achieve a balance between having enough ink on the stamp so you get a good clean stamped image and having too much ink. This may take practice so practice on something first which won't matter if it goes wrong. 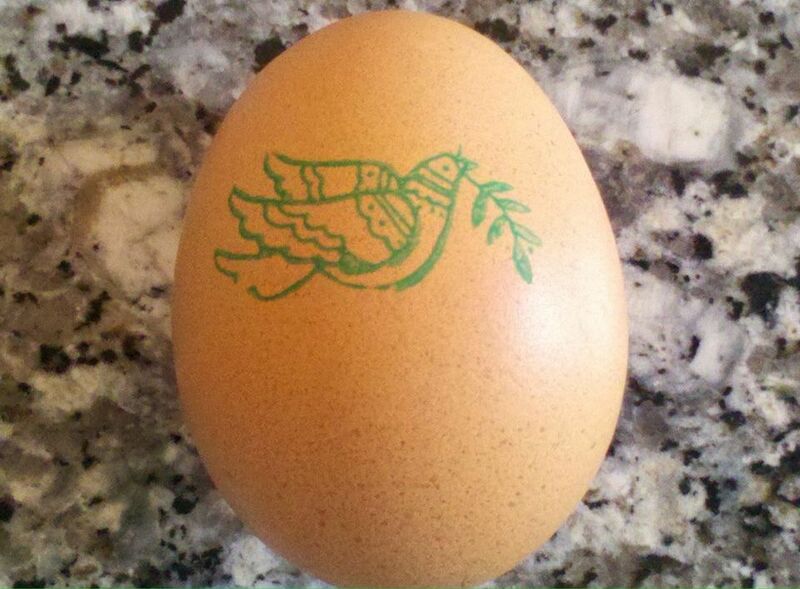 Tip: An egg is great for this - it is low cost and presents a very curved surface on which to practice. Use unmounted stamps. Instead of using a rigidly mounted stamp, try using unmounted stamps and use your fingers to press the stamp to the surface. Fill in any gaps with pens. If your stamped image has a few gaps, use a thin marker pen to carefully complete any parts of the design which are missing. Create a random or all over design. If your stamped images are less than perfect, one way to disguise this is by building up an all over design using lots of stamped images. You can overlap the images if you like and this will soon hide any imperfections. Stamp onto thin paper - instead of stamping directly onto the curved surface, try stamping onto thin paper, such as tissue paper, and adhering this to the surface with glue as we have done to make this candle holder - Rubber Stamped Jar Candle Holder. This is a similar technique to the one we use to add stamped decorations to candles. Decoupage - a variation on the above is to stamp into small pieces of tissue paper and then use decoupage techniques to adhere the patterns to the surface as we have done with this gift box. This is a great way to add decorations to surfaces which are uneven or very curved which would otherwise be difficult to stamp on.